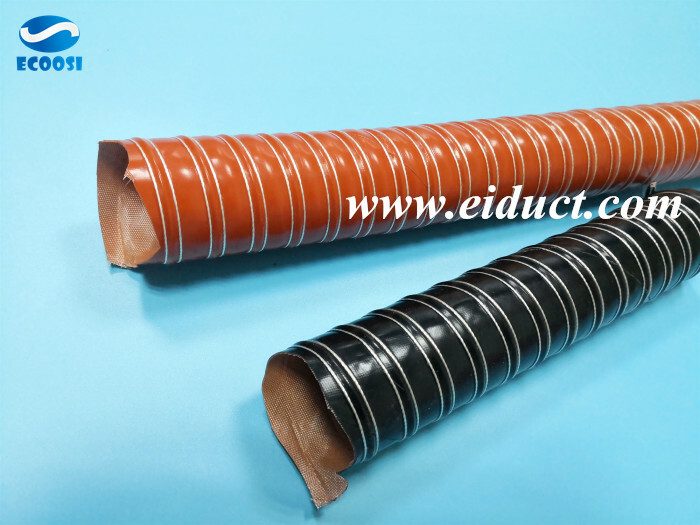 What is the application of Ecoosi double layer silicone flexible duct hose? 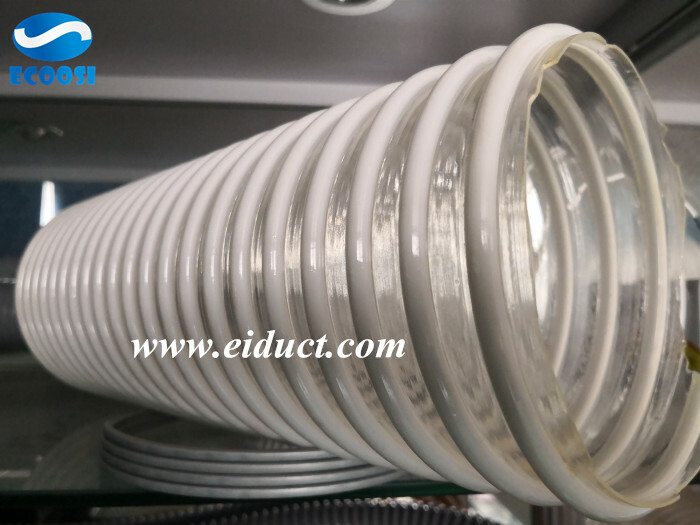 Ecoosi double layer silicone flexible duct hose is made by double layer silicone coated fiberglass fabric reinforced with a spring steel wire helix and external filament fiberglass cord. 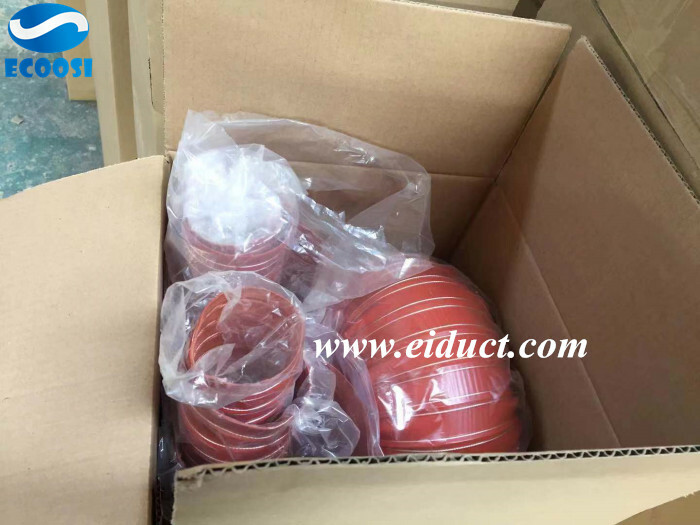 What is the application of Ecoosi PU flexible suction ventilation hose? 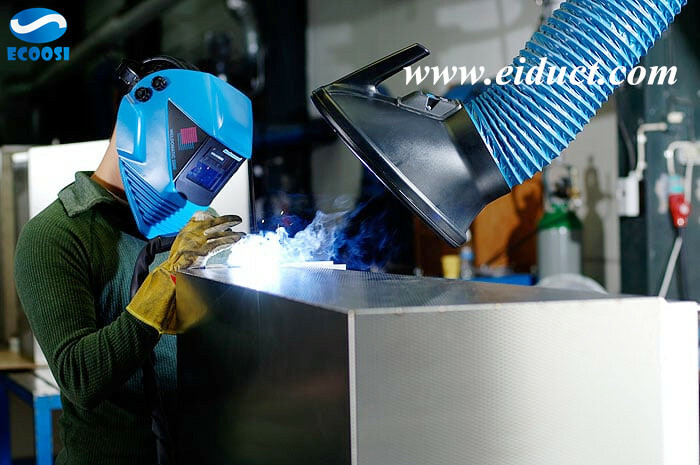 Why PVC hoses are one of the most versatile industrial hose on the market? 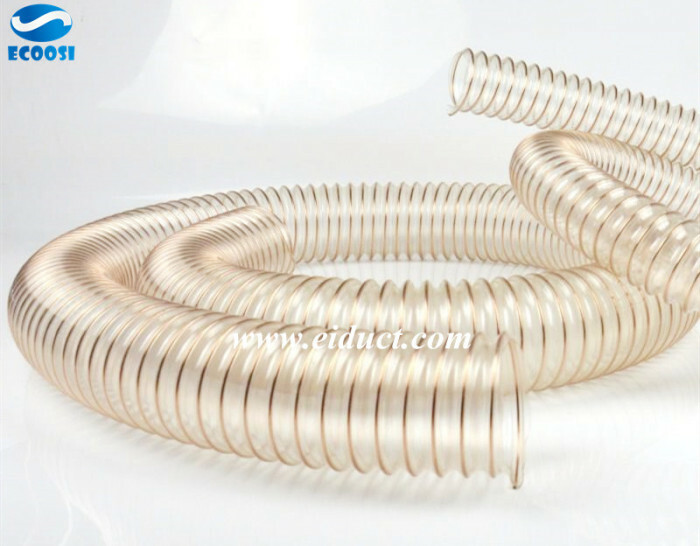 PVC hoses are used in many industrial applications for they are reasonably priced, durable, and have good chemical resistance, and are available in a variety of grades. PVC hoses are one of the most versatile industrial hose on the market. 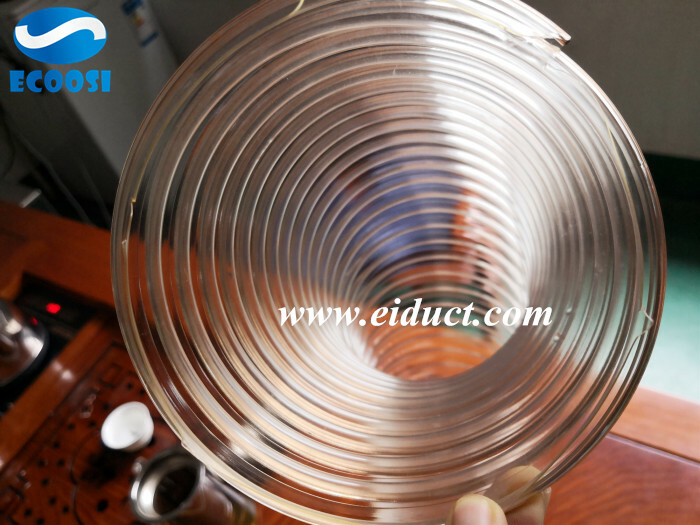 Why Ecoosi PU woodworking dust collection hose is ideal for collecting woodchips and wood dust? 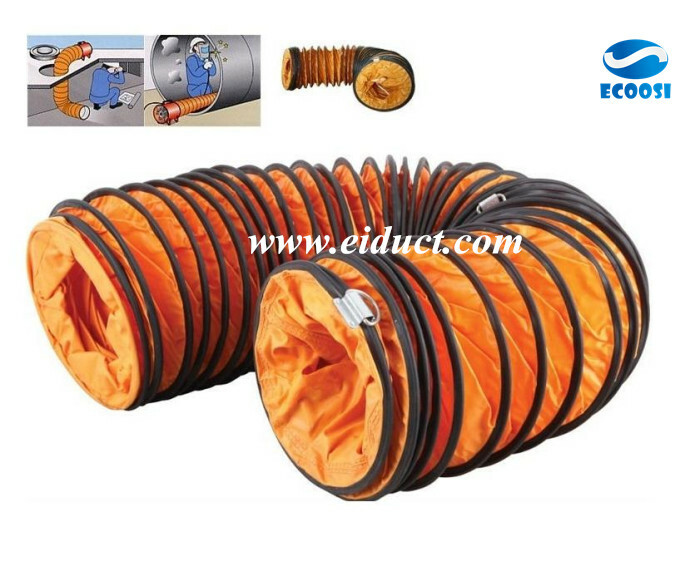 What is the advantages of Ecoosi industrial portable flexible PVC air duct hose? 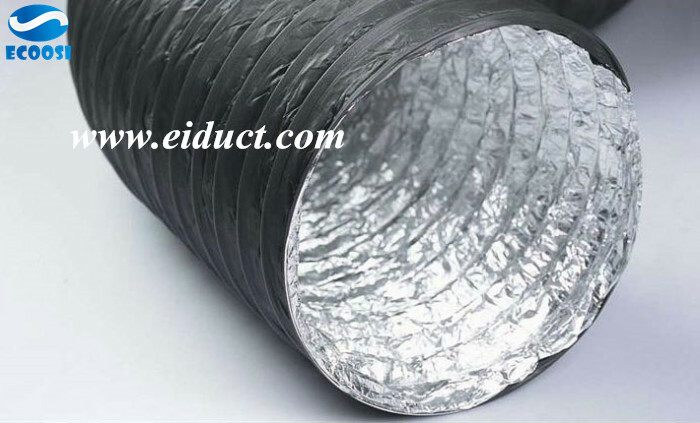 What is the applications of Ecoosi HVAC Ventilation PVC Aluminum Flex Air Duct Hose? 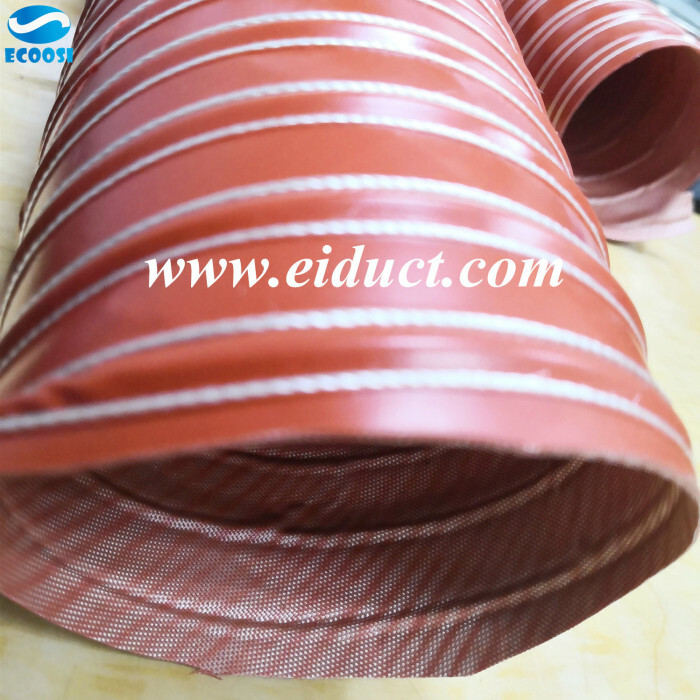 High Temperature Flex Ducting Hose From Ecoosi Industrial Co., Ltd.
Why Ecoosi flexible silicone double layer high temp brake air duct hose is ideally used in brake cooling duct hose?